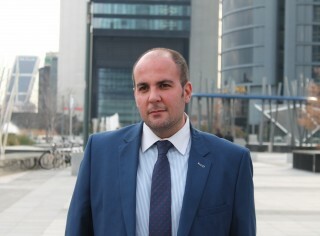 Partner of the Privacy and Data Protection Area at ​​ECIJA, where he joined in 2014 as Senior Associate. Daniel has more than ten years of experience in advising national and international clients in data protection, compliance, information security and technology law. LLB Complutense University of Madrid, where he obtained doctoral studies obtaining the DEA with an outstanding qualification. Associate Professor at Instituto de Empresa and lecturer at different Spanish and Ibero-American Universities, on legal aspects related to privacy, data protection and information technology. Director of the initiative of the Ibero-American Observatory of Data Protection regarding data protection, privacy and habeas data in the different Ibero-American countries. Co-Chair of the Madrid Chapter of the International Association of Privacy Professionals (IAPP). Member of the Spanish Association of Sanitary Law and the Meritas International Network. Counselor and Coordinator of Privacy Studies of the Ibero-American Observatory of Legislation, Jurisprudence and Public Policies in the field of Information and Communication Technologies, and member of the Advisory Board of the Mexican Academy of Computer Law. Outstanding lawyer of the year 2016 in Latin America, recognized in the Awards granted by the Ibero-American Network “Derecho Informático”. Awarded by the Spanish Data Protection Agency as coordinator and co-author of the research work: ‘Data protection and habeas data: a view from Latin America’ in the XVIII Edition of the Awards for Protection of Personal Data. Author of different legal articles on privacy and data protection. Collaborator of different national and international media(such as El Heraldo de Honduras where he directs the blog “Caring for your privacy”), he also assiduously collaborates in the Tribune of the Ibero-American Data Protection Network and the Latin American Journal of Personal Data Protection. Co-author of the book “Digital Law: from Data Protection to Cybersecurity”, published by The Valley Digital Business School and Publishing Unit.